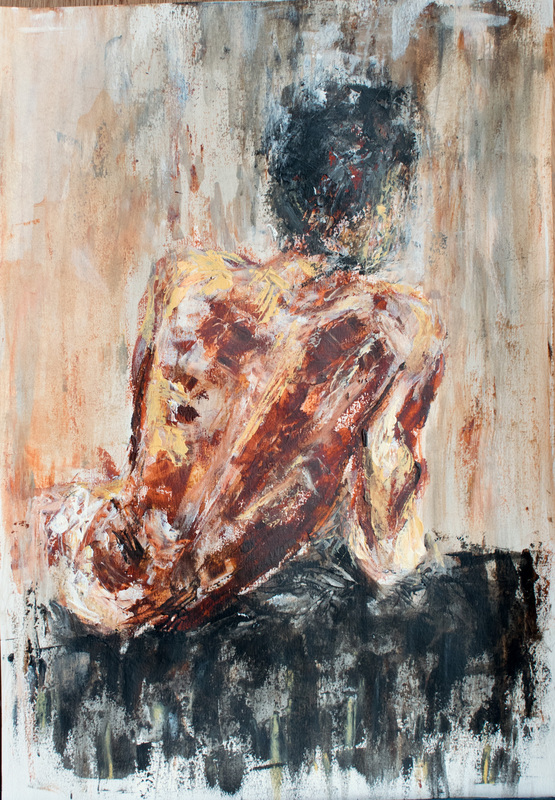 Impressionist and gestural painting of male back. Acrylic on 224g Canson paper. This is not framed or mounted. It will be sent in a reinforced envelope with tracking to most addresses in Europe.